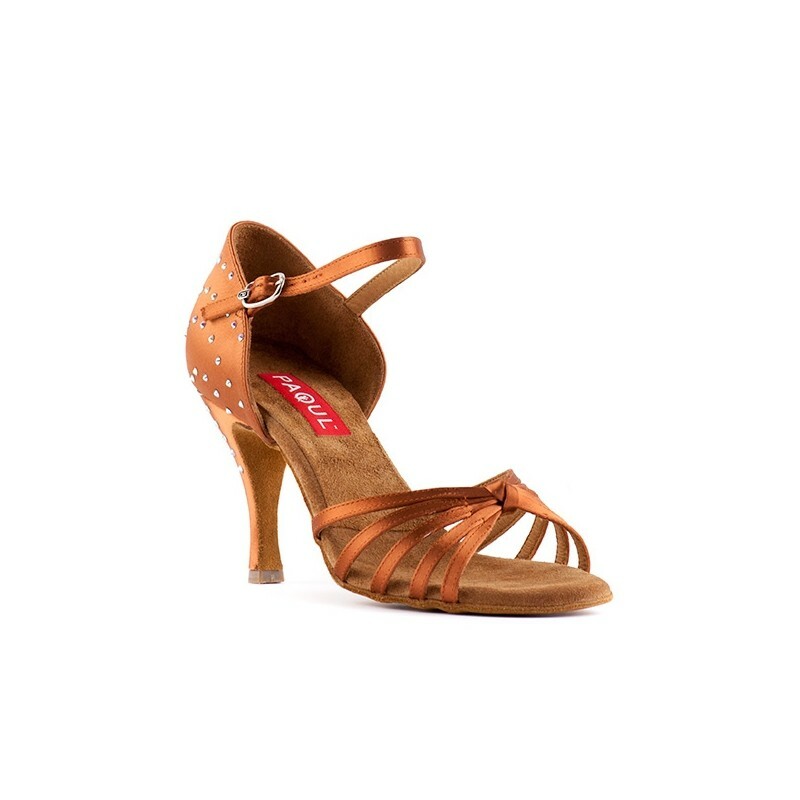 Competition sandal for Latin-American dances enriched by the artisanal application of SS 12 AB rhinestones. It is inspired by model Guapacha (art. 190) for its excellent characteristics: flexible structure to guarantee the perfect grip in every situation of movement and internal padded insole to absorb the impacts and to give comfort to the foot. It is realised in tan satin to match with the skin colour. Lined in leather. Squared point.